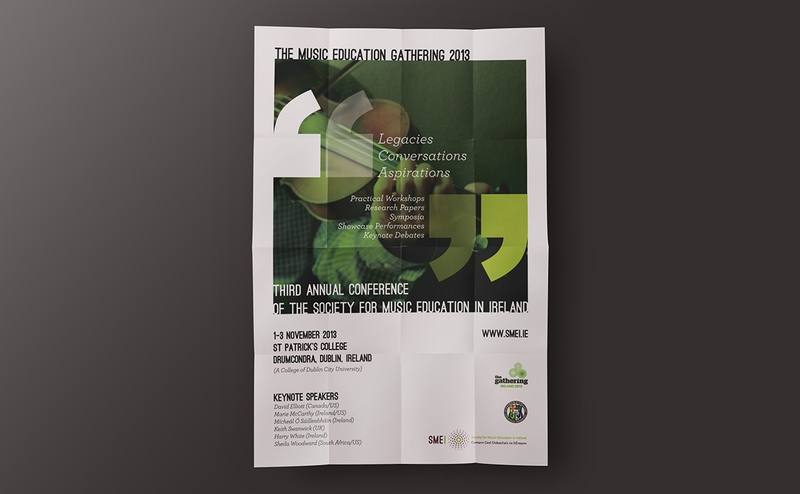 The Society for Music Education in Ireland needed a new logo and promotional materials for an upcoming conference. 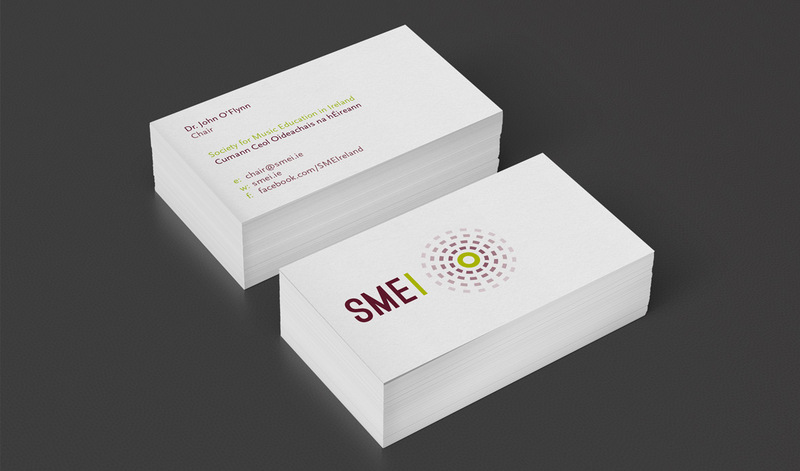 The brief expressed a number of possible themes for the logo; local, national, global, unity, diversity. The conference theme was ‘Legacies, conversations, aspirations’. A simple quotations metaphor was used to represent the themes of ‘Legacies, conversations, aspirations’. This was overlaid onto one of my own photographs that suited the theme. 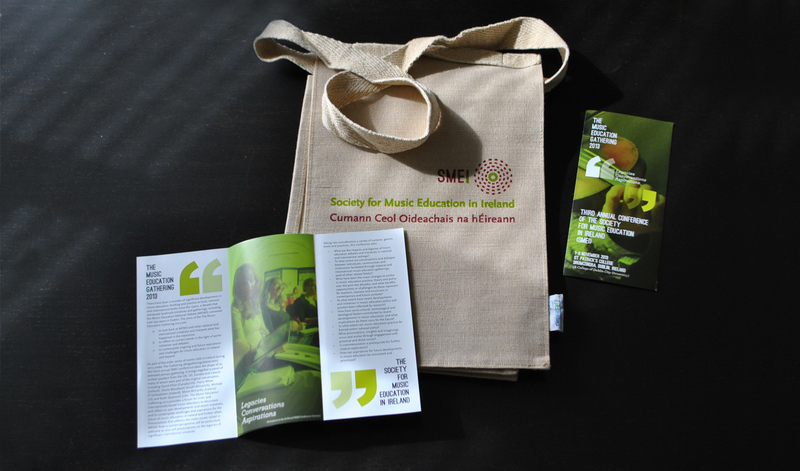 A poster, leaflet and jute bag where produced.